Just imagine yourself being in the front of your customers, millions of them everyday and your offers, landing pages, blogs or whatever it is that you want to promote just ranking there for long time. Imagine the influx of visitors you’ll get, the instant sales & leads. It’s crazy. 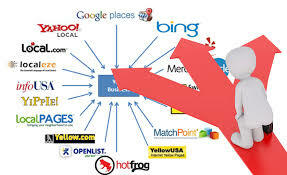 I can Do 500 submission of your websites to PR directories within 24 Hrs, i will create diversified Multiple live backlinks on different platforms for your site. Many of them will be dofollow with nice mixture of Nofollow links, All good and safe.